Direct mail marketing is when a mail service delivers promotional printed material to a brand’s target audience. The goal of direct mail marketing campaigns is to use brochures, catalogs, postcards, newsletters, cards, and sales letters to get a brand’s message directly into the hands of its highest potential prospects to encourage them to act. Creating an amazing direct mail campaign is extremely important to your success as a brand, as it provides advantages that other mediums don’t. But how do you make a campaign that brings success? Here are some of the most effective marketing secrets that have worked for many brands! What Makes Direct Mail Campaigns Amazing? It’s easy to create and execute a direct mail campaign thanks to desktop publishing tools. It’s also easy to make it user-friendly, focused, and interesting. However, the main quality that makes you stand out from the rest of your prospects’ junk mail is your level of creativity. While a potential customer is quickly flipping through their mail, it takes a special touch to grab their attention. To have an amazing direct mail campaign, you need to find the balance between simplicity and creativity. You can customize your campaign to include names and personal information. By taking the extra effort to have a personalized touch, consumers will be more likely to follow through with a purchase. This is much easier for smaller organizations who have a smaller customer base. You can write handwritten notes or write the name of each of the customers you are delivering your mail piece to. This tip is great for new businesses and startups, where you have the advantage of truly connecting with your audience. Timing has a huge impact on response rates, so make sure your offers connect with your audience at the right time. You should also take note of which stage of the buyer’s journey each prospect is in. Your offer should be customized for that stage, while supporting and amplifying other touch points. Another advantage of using a direct mail advertising strategy is that it is highly targeted. You can purchase mailing lists of prospects that are most likely to be interested in your offer. Keep in mind that the end goal of your campaign is to gain leads that can turn into loyal customers. This may require working with a partner to gain access to their customer base. Also, be sure you can handle responses and carry the relationship forward once your prospects contact you. Technology can help you pinpoint your target audiences, so don’t waste your investment sending your offers into the wrong hands. If you are selling products to help seniors, don’t send your offers to young families or singles. If you are selling luxury products, don’t send your offers to lower income neighborhoods. By working with a direct mail partner, you can access mailing lists that are specific to the zip codes and neighborhoods you want to target. If you’re preparing to launch a new product or service, or pack some punch into your direct mail campaign, look for ways to delight your prospects. There are several ways you can do this, such as offering a promotional item, sparking curiosity with a QR code, engaging their senses with scratch and sniff cards, or promoting a limited-time contest. Sending a sample or promotional item, for example, can seem expensive, but you can make this budget-friendly. Send items like branded pens, flash drives, or microfiber sunglass wipes. These are easy to fit in a standard envelope and are useful. They also work to promote your brand as they are placed in public spaces like offices and kitchens. 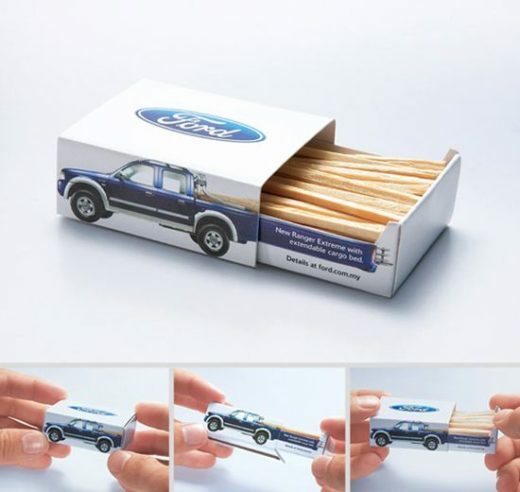 Ford: In this campaign, Ford used a matchbox full of matches and shaped it like their new truck. When the match box is pulled open, the side of the package shows a trunk extension coming out. Creative and effective! 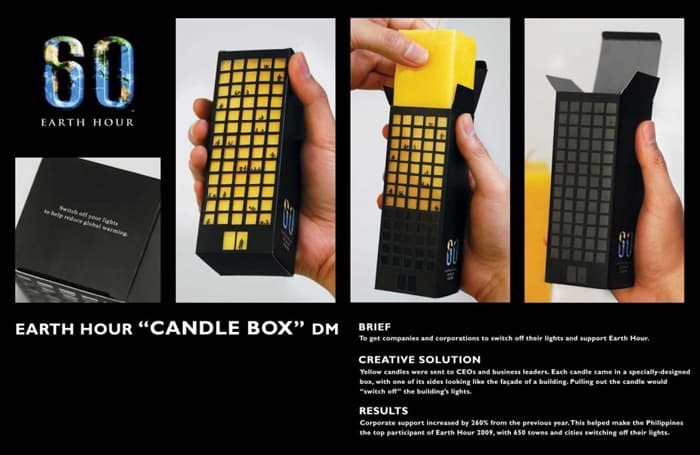 Earth Hour: To encourage business leaders to celebrate Earth Hour, the organization sent yellow candles in special packaging shaped like an office building with small squares for lighted offices. As the yellow candle is pulled out of the “building” box, it appears as if all the lights have gone out. Now, managers and CEOs get the idea and have a candle to use instead of electricity! 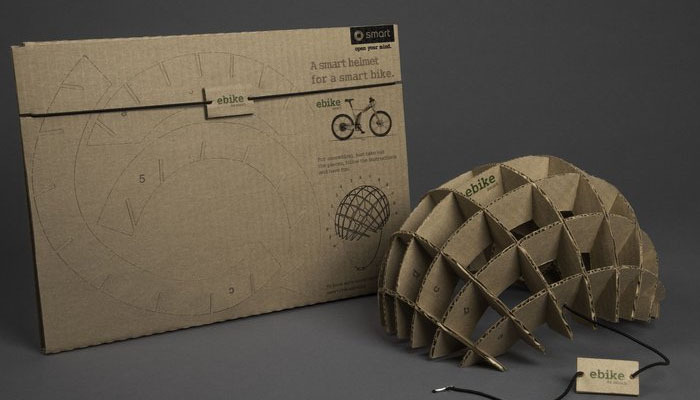 Smart: To promote its new environmentally friendly e-bikes, this brand created a stencil on its packaging, so customers could assemble their own cardboard helmet. Although the helmet isn’t functional, it shows the importance of using enviro-friendly materials to make products. 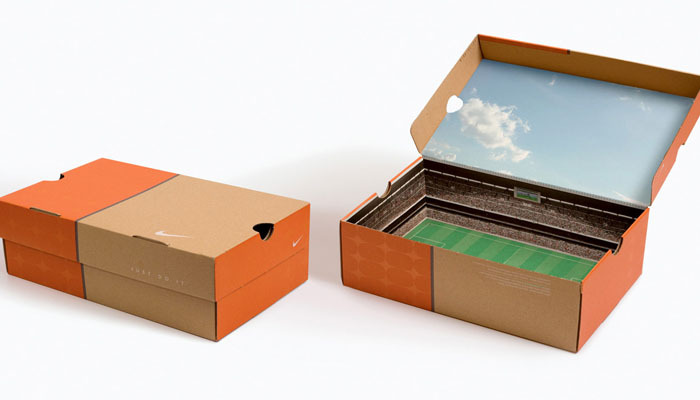 Nike: Another company to reuse its packaging, Nike turned the inside of its box into a stadium. This was done to encourage children to take up sports, and since the boxes were provided for a limited time, it created hype for avid sports fan consumers. Understanding these direct mail marketing techniques is one thing but getting access to your target audience can be a challenge. That’s why working with a reliable direct mail partner is a great option. With over 30 years of experience, Macromark has grown to become one of the leaders in the direct mail industry. We help our clients target consumers with precision through our comprehensive list offerings, and work with clients to place effective ads. We can help you stand out from your competitors and engage readers, both of which are essential to growing your customer base and enticing them to visit your store or website.